CMS Competitive Bidding Hurts Medicare Beneficiaries With Diabetes | National Minority Quality Forum, Inc.
BOSTON — The competitive bidding program implemented by the Centers for Medicare and Medicaid Services (CMS) has reduced beneficiaries’ access to self-monitoring blood glucose (SMBG) supplies, resulting in increased mortality rates, according to a study presented at the American Diabetes Association (ADA) 75th Scientific Sessions in Boston. 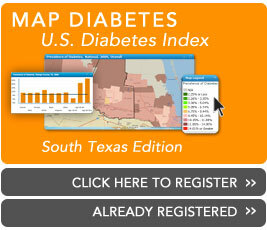 CMS implemented a competitive bidding program for diabetes supplies in nine pilot markets in 2011. CMS intended for this program to help reduce costs for Medicare beneficiaries while still ensuring access to devices and services, including SMBG supplies. The program was officially implemented in July 2013 after CMS reported that there were no negative health care consequences from the pilot program. The National Minority Quality Forum joined with top endocrinologists to determine the accuracy of the CMS’s conclusions about Medicare beneficiaries with diabetes who require access to SMBG supplies. Read more. The South Texas Diabetes Initiative, a program of the Minority Diabetes Coalition, is sponsored by Boehringer Ingelheim, Roche Diagnostics and Eli Lilly. © 2019 National Minority Quality Forum, Inc. All Rights Reserved.